Carmen Butler finally felt like herself again. Something about having her parents in her home made everything alright. All the drama, all the un-wise decisions, none of it weighed on her once they arrived. Her parents Jeffrey and Genevieve could fix any situation. Once their bags were put away in her bedroom and they’d met their grandsons, Carmen literally breathed a sigh of relief. She offered to make them lunch, but before she could get the sentence out, her mother was already in the kitchen warming up leftovers. 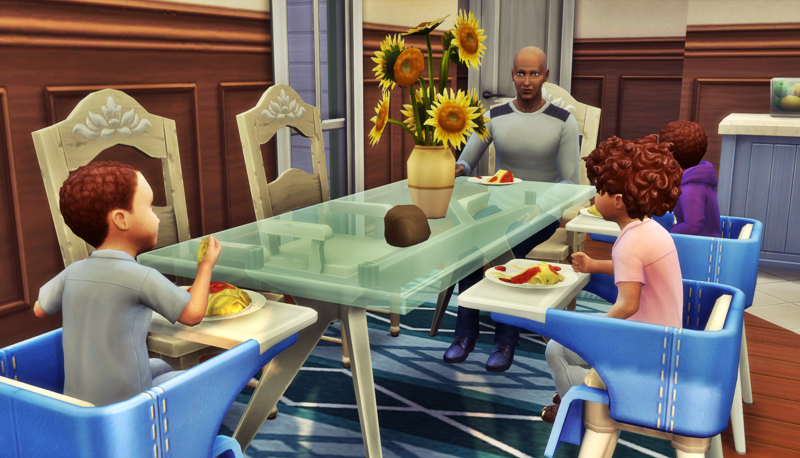 She went to pick up her oldest son Rodrigo and put him in his high chair so they could sit down to a meal as a family. She was pleased with how Rodrigo took to his grandparents. He was a friendly child, and he was the first born grandchild, so there was a lot of love to be shared. Before the meal was over, they were all laughing belly-busting laughs. Her parents didn’t put an end date on their visit, for which Carmen was glad. She didn’t mind sleeping on the couch so they could have her bedroom. Carmen had a plan to address her suddenly crowded house. She received child support payments from Hugo, and while she was grateful for them, she really didn’t need the money. She had been saving each payment. The money tripled after she had her twins Mauricio and Marco, and her savings had grown significantly. She decided to use the money to expand her home. The Willow Creek Courtyard Lane HOA had really strict rules about home renovations. Carmen’s only choice was to expand up and she had to do so in a way that maintained the intended facade of the original home. While she was figuring out the details of the home expansion, on the couch she stayed. 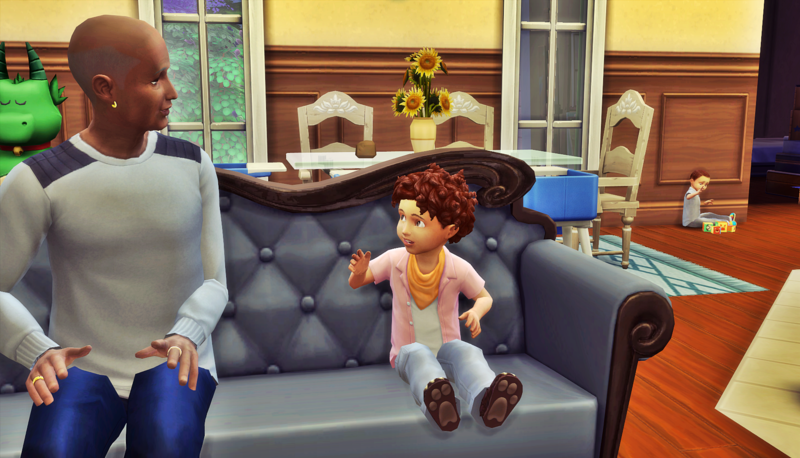 As a Sim, Carmen knew the trick to wrangling toddlers was to make sure they didn’t outnumber you. Having her parents there made all the difference. Her father needed a reminder about which foods to serve toddlers though. He thought it was a good idea to make spaghetti for dinner one day. As Carmen grabbed her plate and came to the table, she worried this wouldn’t end well. Mauricio was already playing with his food in his high chair at the head of the table. His spaghetti was all over the new rug she’d purchased. Carmen had already made several changes to the house since her parents arrived. There was new kitchen cabinets, a new couch, and the rug that Mauricio had just ruined. “Daddy, spaghetti, isn’t a great choice for toddlers,” said Carmen. Carmen went to her garden, and Jeffrey did as promised. He got Mauricio settled then realized he didn’t know where Marco went. 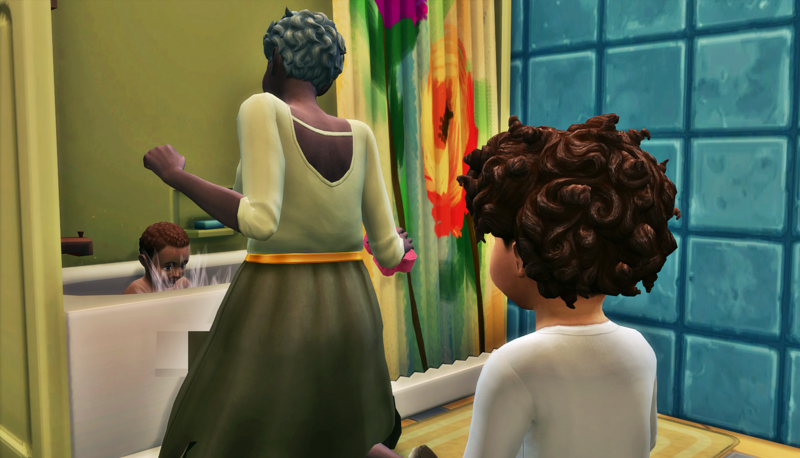 When he finally found him in the bathroom watching Genevieve give Rodrigo a bath, he thought perhaps Carmen had a point about the difficulty wrangling three boys. 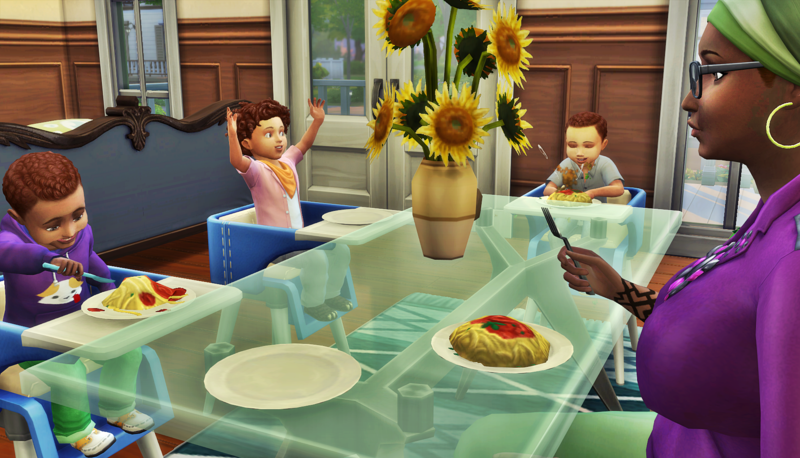 The only time there were two toddlers at the same time in the Butler house is when Carmen and her sister were little. Their son came along later. Jeffrey knew he’d have to keep a closer eye on the boys if he was going to keep him promise to Carmen that things would be easier now that he and his wife were there. He scooped up Marco and brought him to the couch. They chatted about tablet games and growing up with brothers. Marco’s language skills weren’t as advanced as his older brother’s, so that was pretty much the limit of interesting conversation he could manage. Soon, it was bedtime for everyone in the house. As Carmen settled onto her new couch for another night’s sleep, she thought about how all of her friends used to have or currently had toddlers at home, but none of them had to do it alone. Since her parents arrived to town, Hugo had been staying away, likely to avoid the inevitable “what the hell are you doing with our daughter” conversation. She missed him, but she had to admit that having her parents around all the time was preferable to having him just a few hours a few days a week, at least when it came to consistent help with the boys. Carmen hoped Hugo would come by soon. It would be worse if he didn’t. Her parents knew he was married and that things were very complicated, but they still expected him to show up and be a father. Carmen finally drifted off to sleep, brain swirling with thoughts of her blended family. I loved seeing the dynamic with Carmen and her parents in this one. I love how her dad is kinda meddling with his whole “Well you let him be silly” Thing LOL. Still, it’s good that she’s finally got some help around there! I can’t even imagine how hard it would be to wrangle all those toddlers on her own! Well, you know, when you give birth to three little boys, it’s kinda hard to hide. I would NOT want to be her when she had to explain that her son’s father married someone else. Then I would REALLY not want to be her when she had to follow that up by explaining she’d gotten pregnant with his babies again, while he was still married. That’s the real reason they showed up. They needed to see what was going on in person! What in the world do you have your child support settings on?? LOL that is insane! Maaaaan, I don’t even remember, but I think it’s based on a percentage of the household income. Whatever the original setting was, I only raised it by like 5%. Imane is subsidizing all of Hugo’s children, lmao. Ohhh ok. The default is 1% lol. That poor vampire. If only she saw it that way, she would reconsider this whole divorce scenario lol. Ha! Yeah maybe. All her hard earned money going into building her husband’s mistresses second story expansion. But alas, she has many more lifetimes to get more money. 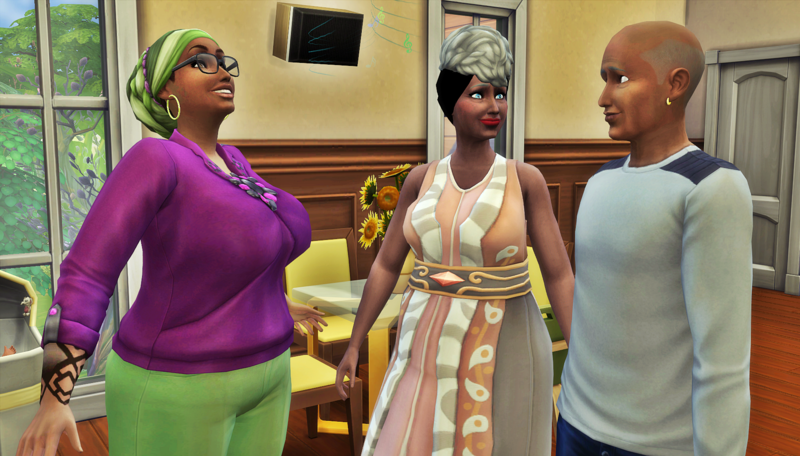 Some head canon for you: her coven doesn’t even really use Simoleons. They work mainly on a barter system. Unless you have something to contribute, you gotta get out and hunt Sims. Also, her coven is the one that initiated the integration into the Sim neighborhoods from Forgotten Hollow. Not that Hugo knows that, but I thought you might find it interesting. Huh! So she’s just stacking money then! Hmmm…I wonder if there were any nefarious plans behind said integration. Sounds too much like a setup lol. I spy a Hugo clone! Maybe 2, but definitely one lol. Wow, we are meeting the extended families of everyone. Carmen is lucky they are so helpful! Oh yeah, we will get to meet everyone’s parents. I’m really excited for you all to see the parents of members of the other households as Round 10 continues. Carmen is very lucky. She grew up in a very nurturing household. Originally, I didn’t plan for the Butler chapters to be right after the Ralston chapters, but it ended up working out this way. I kind of like now how their parents are juxtaposed against each other. The way the Jeffrey and Genevieve Butler are is sooooooo different from Murphy and Renee Ralston. And lucky for us, they’re actually sticking around for a bit! 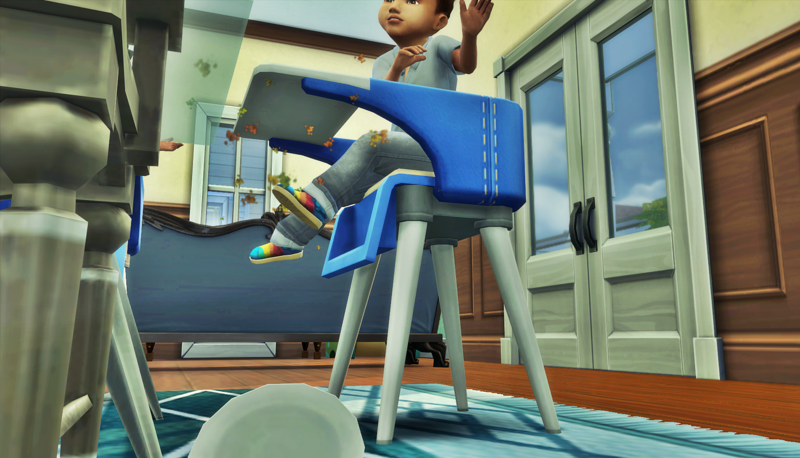 Gotta keep those toddlers outnumbered, lol. It’s a really interesting family , and it seems like a great one for the kids! Those three kids are going to grow up with a lot of love, surrounded by very protective caregivers. I think that bodes well for their future.